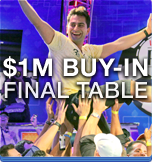 At the 2012 World Series of Poker, Antonio "The Magician" Esfandiari won the "Big One for One Drop", a $1,000,000 buy-in tournament benefiting the One Drop Foundation. By winning the event, Antonio took home the largest cash prize in the history of poker ($18,346,673) and became the all-time leader in tournament poker winnings. Antonio co-starred in the TV show Bet You and he is also the face of the WPT's Poker-Made Millionaire. In 2004 Antonio won close to $1.4 million and his first World Poker Tour title at the L.A. Poker Classic. He won his first World Series of Poker bracelet a few months later in Pot-Limit Hold'em. 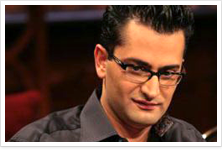 Esfandiari appeared in two seasons of the Poker Superstars Invitational Tournament, taking second place in season three. He was also in every season of the GSN’s High Stakes Poker and NBC's Poker After Dark. Esfandiari made the final table of the 2008 PokerStars.com EPT Grand Final in Monte Carlo, winning $266,004. In 2009, Esfandiari finished 24th in the World Series of Poker Main Event, earning $352,832. In 2010 he earned his second World Poker Tour title by winning the WPT Doyle Brunson Five Diamond World Poker Classic for over $870,000. 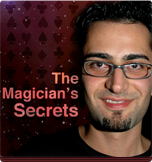 This advanced pack provides difficult situations combined with detailed analysis from poker pro Antonio Esfandiari. The pack includes hands illustrating Antonio's unique style and his logic behind what casual observers often consider madness. Antonio reveals many of his secrets including moves that should only be attempted by the most experienced players. This Hand-Pack includes 21 actual hands Antonio Esfandiari played in "The Big One for One Drop" $1 Million buy-in tournament at the 2012 World Series of Poker in Las Vegas, in which he won $18.3M. You'll learn his thought process, hand by hand and move by move, as he took on the world's best players, like 12-time WSOP bracelet winner Phil Hellmuth, high-stakes UK pro Sam Trickett, online ace Brian Rast and poker-loving billionaire Guy Laliberte of Cirque du Soleil. Learn how Antonio adjusted his play to exploit each opponent's skill and mindset, and discover how subtle observations, like who was talking to whom during the breaks, helped Antonio to victory. Copyright © 2012 Gamoz Inc. All rights reserved.